It has taken a few days to formulate the way to frame what my family experienced last weekend. Being in a new spot gives you constant opportunities to experience new things. 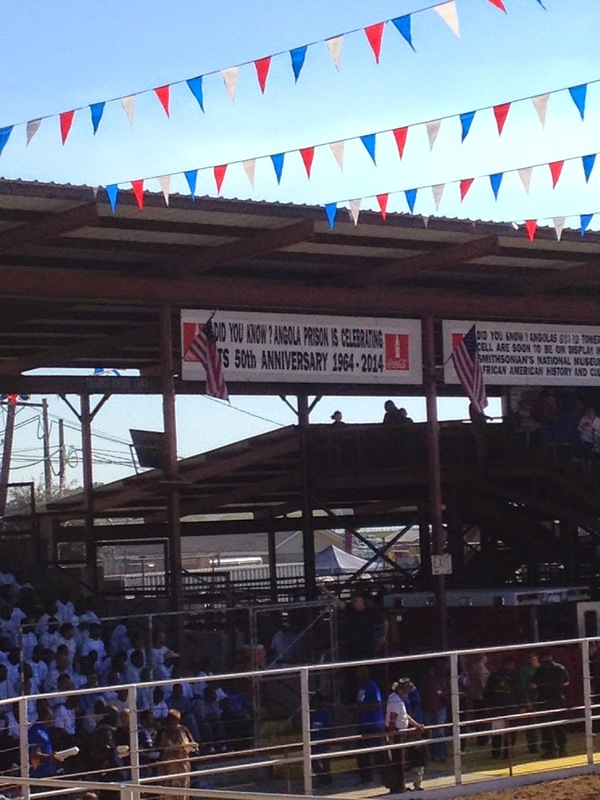 We attended the Angola Prison Rodeo, and disturbed is the best descriptor I can come up with. Angola is one of the United States' oldest prisons. It is also one of the largest. This "farm" houses some of the baddest bad boys around. We're talking about rapists and killers. There are so many men with life sentences at this State Penitentiary that there is a hospice program working on site. Oprah actually did a documentary film on this program. Within this prison there are many kinds of other programs for those who will one day see freedom again. The inmates work the fields, and are paid mere pennies per hour without complaint. There are "hobby crafts" that are opportunities for the inmates to learn a skill and produce something beautiful while being locked behind this gargantuan prison's walls. Of course, the rodeo is an opportunity too. The inmates volunteer to participate in this event. Actually only the most well-behaved prisoners may participate. It has grown so much over the years that they hold it in the fall and the spring, and it sells out almost every weekend. People come from all over the country to witness what is truly a unique experience. While I've attended rodeos in the past, never before had I witnessed something like this. Yes the bulls and the horses are treated the same with the straps and the spurs. It always seemed like a bit of unnecessary cruelty, but then again I'm not a cowboy. 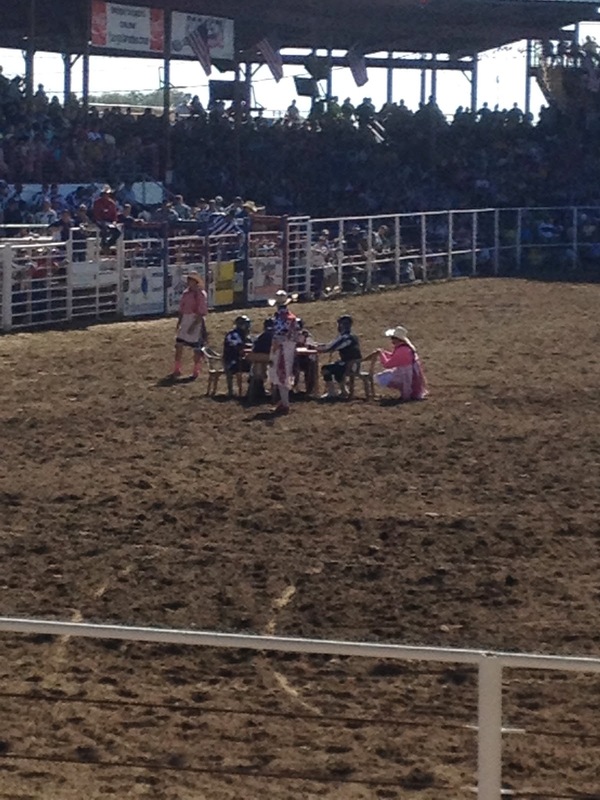 At this rodeo you get to watch men in stripes sit in a caged off area awaiting their turn at "glory." They seemed eager to participate. It baffled us. Inmates who get to watch the event. This guy was actually cool. Buffalos on a trailer! 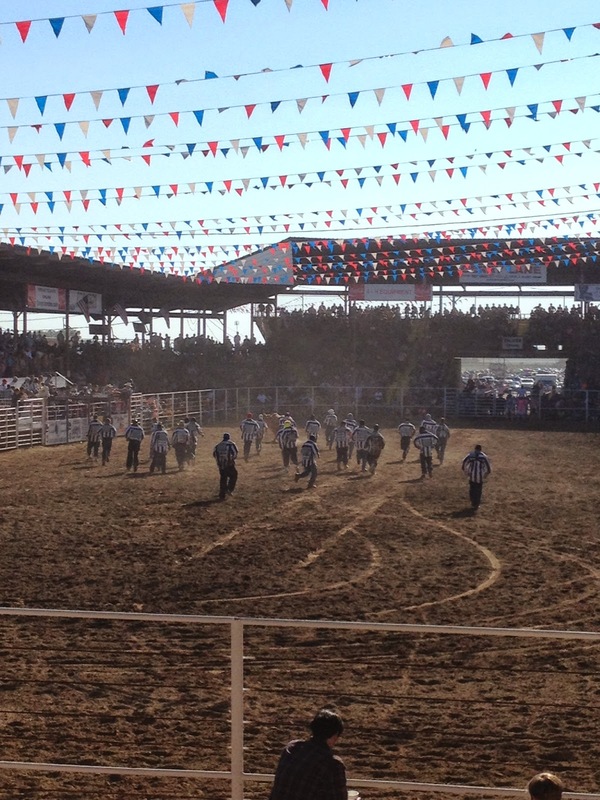 It was nice to see that they were wearing helmets and protective gear because what followed the typical rodeo bull riding made you gasp and flinch! Hula Hoops were laid on the ground inside of which the prisoners who had volunteered stood absolutely still. 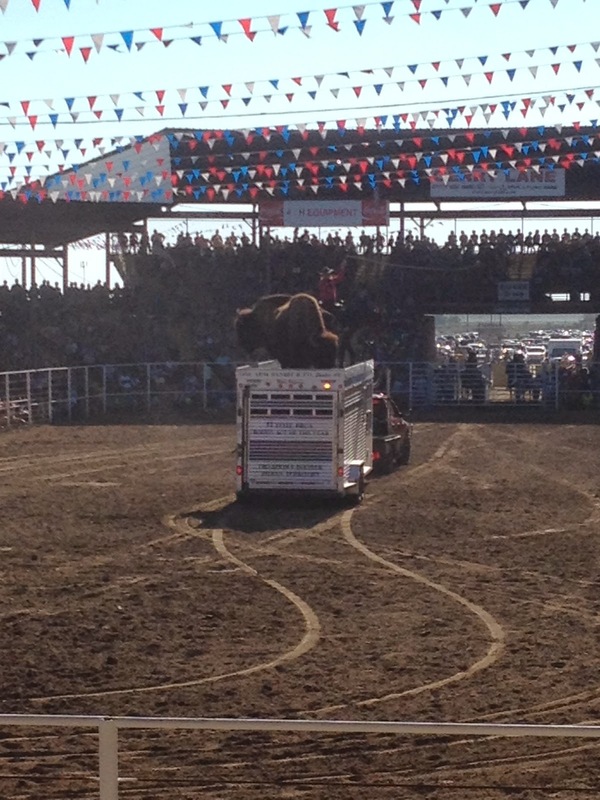 Then the angriest bull they could find was released and taunted by the rodeo clowns. These inmates just stood there until this 1,000 pound panting beast hit them at full force with his behemoth head. Inmates trying to pull a chip off of a mad bull's head. Another event had volunteers sitting still at a poker table awaiting yet another angry bull's massive attack. Bodies flew through the air and volunteer paramedics removed them. Ambulances moved the injured inmates in a steady parade of screaming sirens. These men went through this feat of strength for $100 prizes to soothe their broken backs. It was brutal to watch and my husband and I felt dirty for participating. We wondered if anyone else felt the impact, and we were reassured by his coworker that we weren't alone. It was disturbing. After the rodeo was over, we got the chance to browse through the "handycrafts" for sale that were made by the inmates. A privileged few were allowed to sell their works to rodeo spectators, though no money was given directly to the inmates. They handed you a receipt and you paid at a cashier's desk, as the prison would take 20% of the profits right off the top. Scared of the razor wire. Some prisoners were not well behaved enough to be on our side of the fence, so you had to barter with them as they hung off of their chain link fence only able to gaze at freedom. 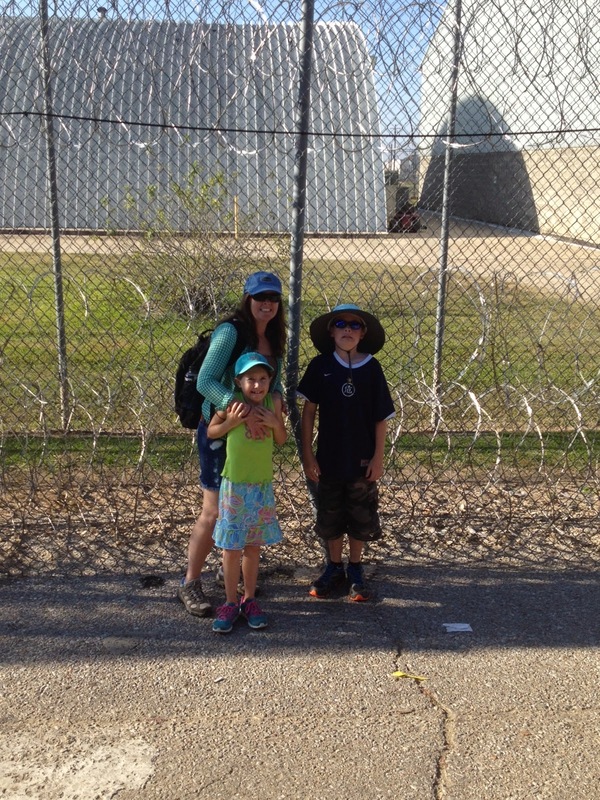 The ones that were on our side were visiting with family who made the trip with their kids to visit with their incarcerated loved ones. There was a battle happening in my brain. These men put themselves in this position with the awful choices that they'd made in their life. They put their families in jeopardy and ruined the lives of many by breaking the law in violent ways. Yet within those prison walls they created; beautiful paintings, leather goods, wooden puzzle boxes, furniture, and countless other items. They were human beings who were paying the price for their crimes. Should I feel bad for them? Or just for their families? Watching a young mother having to pull her child away from his incarcerated father was enough to break your heart. The fallout from the crimes committed was visibly far reaching. We were there to be entertained, and families were there to soak in the few, precious hours that were possible. The one very positive thing that we took away from this experience was the impact it had on our kids. They NEVER, EVER want to go to prison. The brutality of the experience and the knowledge that these grown men could not go and do what they wanted left my kids understanding what freedom means. Explaining why the men made such bad choices wasn't easy. Nobody can answer that question, but the men that are serving their time. No doubt many would have drugs as a part of their reply. My lessons on integrity began to bloom faster in their young minds. It was an experience that we won't repeat, but it was absolutely unique. The inmates are brave to face down a charging bull, and it's great that they're given the opportunity to feel like free men. At the same time, it makes me feel more safe that they are still serving their time. It's better for them to face a wild horse and reduce recidivism, than to simply label them rehabilitated and let them out on the street.